[CREATICE DESIGN] A creative vintage ashtray to brighten everyone's eyes and light up your room. [PERFECT GIFT]Ideal retro tabletop ornament for office,patio,balcony,cafes,hotel.a special gift for Birthday,Anniversaries,Christmas/Particularly designed for smokers and antique decor enthusiasts. [HIGH QUALITY] Made of Wood, Long-lasting,durable,anti-oxidize and anti-shock. 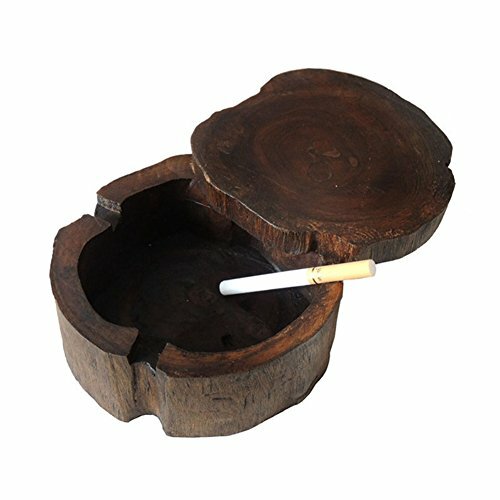 [HOME DECOR] It is not only an ashtray, but also a great home decor.